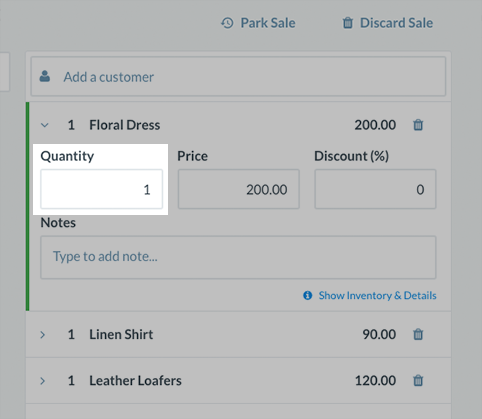 Managing Products Added to a Sale – How can we help? 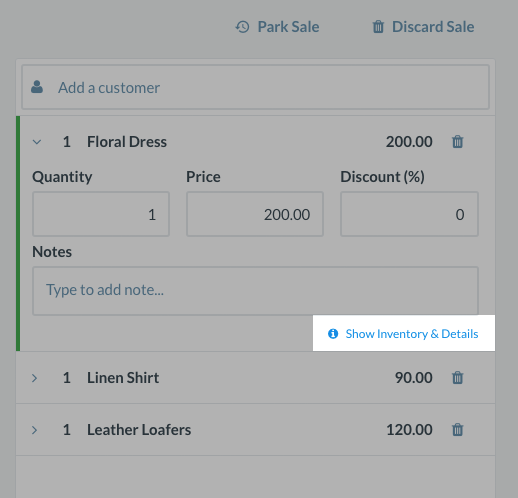 Once you have added a product to the sale, you will now have the option to manage this product. Noted below are the methods in which you will be able to manage the product you have added to a sale. If you have made a mistake, simply click the 'trashcan' icon by the product name. Clicking the 'trashcan' icon will remove the product from the sale. If you wish to view further information on a product you have just added to a sale you can do this from the sell screen. Click the product name in the sale list and navigate to Show Inventory & Details.